Late springtime gives independent workshops an ideal opportunity to gain an edge over authorised garages by demonstrating their in-depth repair expertise. It is the time of year when many car drivers have their cars serviced, knowing that the harsh weather and road conditions during the winter season take an extraordinary toll on suspension parts. Shock absorbers, coil springs, ball joints and tie rod assemblies are particularly affected, leading to premature part wear and subsequent noise emissions from the car axles. A change in the axle geometries for example can result in increased tyre wear and longer braking distance. A visual inspection of all suspension parts and replacing worn components immediately, is highly recommended. It is an absolute must that an axle and wheel alignment procedure is performed whenever critical chassis components have been replaced. Many original components fail under the extraordinary loads to which they are subjected within three to five years, frequently causing costly repairs. The root causes are easy to pinpoint: Irrespective of the trend towards lightweight solutions, engines are becoming ever more powerful. At the same time, deteriorating road conditions and rising traffic levels make stop-and-go driving a growing challenge. Increasingly intensive cost and time-to-market pressures make it extremely difficult for automobile manufacturers to adapt adequately to the changing framework conditions. Wulf Gaertner Autoparts AG has recognised the need for optimised automotive spares. Under its Meyle-HD brand it supplies components, which it claims, outshine original designs in terms of durability and reliability, helping to build strong customer relations by enabling premium-quality repairs. Product development is centralised at the company’s Hamburg base. With their in-depth expert knowledge, in-house engineers supervise manufacturing processes at both company-run production sites and trusted manufacturing partners. Based on callback and customer complaint statistics the Meyle engineers identify those parts, which are known to fail prematurely. As a first step in the process the engineering department determines, which loads have been causing the original part to fail. Load interaction is continuously measured throughout the entire re-engineering process. To develop an HD part, computational models are used to simulate the loads applied, allowing engineers to identify those geometries which are subjected to particularly high stress. This information makes it possible to develop more durable designs which do not compromise functional reliability of the adjacent components. The changes made may seem marginal in character, but they are big in effect: When looked at individually, each modification has a limited impact, it is by combining the effects that they unfold their full potential. Under-dimensioned ball joints for example will cause a ball and socket joint to fail prematurely under the exceedingly high dynamic stress, as occurring for example when braking. The surface pressure generated by a small ball head with small surface area causes severe wear of the ball joint’s individual parts and leads to early part failure. The logical solution in order to reduce wear and increase service life is therefore to increase the ball diameter of the joint. 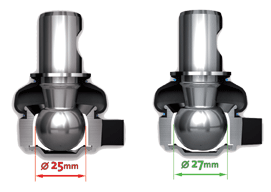 Employing high-quality plastic materials for the ball sockets helps expand ball joint life even further. Another factor determining part life is the rubber-to-metal bonding of rubber mounts. Advanced designs and high-grade rubber materials help reinforce material bonding considerably. By increasing the surface areas of rubber-to-metal bonding effective stress is distributed on a larger diameter which reduces the loads on the bonding – another good example of the synergies inherent in individual modifications. Right at the beginning of product development Wulf Gaertner Autoparts AG’s engineers decide which technologies and materials to use. Choosing full-rubber mounts, for example, prevents the risk of leakages to which hydro mounts are prone. The damping characteristics are precisely attuned to OE components so as not to compromise driving comfort. Another crucial, though often ignored, factor is the grease employed in ball joint, yet it is a key design element with major influence on part life. For its HD parts, Wulf Gaertner Autoparts AG relies on a high-performance grease specially developed to support the high loads to which these parts are subjected. The anti-corrosion effect of the grease helps reduce wear and tear and prevents early joint failure. 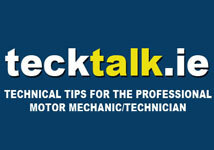 To ensure optimal repair results the overall system has to be taken into account. 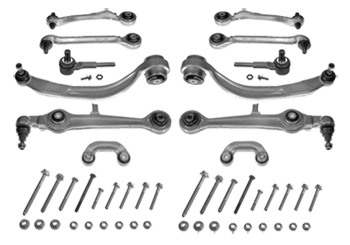 This is illustrated by control arm kits. To get rid of a defect once and for all, it is wise to replace the complete set or pair of components and to use only self-locking nuts. Full-service kits allow independent workshops to perform control arm repairs to professional standards. The kits contain all the necessary individual components, such as control arm, tension rod and push rod, plus a full set of mounting hardware. They include all nuts and bolts to save repairers the time and effort of identifying and ordering all required parts separately. But there are also parts where the complete assembly must be replaced, even though only one element is defective. 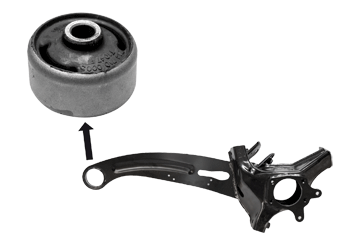 An example of this is the rear axle control arm of the Ford Mondeo. One of the most frequent causes of damage is the rubber material in the bushing. Until now, in some models, it was necessary to replace the complete rear axle control arm in order to remedy the defect. The new Meyle solution allows repairers to replace just the bushing by simply pressing the worn part out and the new bushing in. This makes the trailing arm repair much easier and also saves a lot of time and money. Standardising the designs of tie rod assemblies is another approach to facilitating repairs, for example by developing tie rod ends which are compatible with the steering gears from different brands such as ZF and TRW. There is only one way for independent repairers to set themselves apart from the competition: by providing excellent repair quality. The quality of the repair is largely dependent on the quality of the spares and their components which is why Wulf Gaertner Autoparts AG has now engineered around 600 parts, which the company claims are technically superior to their OE counterparts for thousands of different vehicle models. Contact Strongline Autoparts Limited on (01) 462 4631 for further details.